Bark Busters dog-friendly dog training methods can also help YOU! Address your dog's needs in their own living environment and enjoy your canine companion even more! The best way i can describe Doug and this training is AMAZING. My husband was so skeptical and somewhat angry with me for paying the training fee for two hours of training. When he got home from work the day of the training hw was amazed. He went to work the next day and told the guys about it. It totally changed the dogs' lives and our lives in the best way. We couldn't be more pleased. Training got off to a good start. My dog Fritz liked Doug and understood what behaviors he was going to have to change. I also understood what I needed to do in the coming days to reinforce these changes. I see success in our future. Doug has helped us better communicate with our dogs and helped us understand that dogs think differently than we do. After day one, we already saw a significant improvement. He was very effective at explaining techniques and they certainly made a difference in behavior. We are so thankful for the support and knowledge Doug has provided us with. We are now more confident dog owners. Doug was very professional, pleasant, and positive. He was full of good ideas. I was able to call him when I ran into problems. He is a good support system and gave me confidence to continue and not give in. I have a very young chocolate lab puppy, he was just under 11 weeks when I had my first session with Doug. My primary issues at this young age were his incessant biting and whining/crying in his crate. The difference in his biting after just one visit was amazing. I couldn't believe how well my Monty responded to the Bark Busters techniques. But as the dog owner, you must follow the techniques for this to work. Doug is helping assert that I am the pack leader and my puppy is responding. I am very impressed and pleased with Doug's training techniques. I was at my wits end and needed help with my 4 month old puppy, Sasha. Doug observed my interactions with her and immediately saw how to fix the issues. I couldn't believe how easy he made everything. I was skeptical and though that Sasha would revert back to her old behavior but she hasn't. We noticed a difference the first day. Sasha has made tremendous improvements with her aggressive nipping, jumping, following commands, and even potty training. My daughter came home from college and couldn't believe it was the same dog! I highly recommend Doug and Bark Busters! Panther has responded extremely well to training. We can tell it suits his personality to know are in charge and have things under control. He is already much calmer in social situations.He did a great job at the lake even with lots os strangers visiting. Thanks so much for your reassurance and help. Dug is fantastic! He walks me through step by step how to handle various situations with my puppy. I have seen so much growth and improvement in such a short time. I also appreciate that he gives advice beyond training and has helped with grooming, food choices, sick puppy and more! One visit and Sunshine's barking decreased immediately. Couldn't believe it was so easy! And no hurting of my sweet dog. No hitting, no shock or pronged collars, and no yelling. Just amazing! Since we started Bark Busters training, my dog has improved significantly! She stops almost immediately when barking/doing something she shouldn't. We weren't able to focus much on the barking during the training session, but using the verbal correction for both the barking and jumping is working well. Doug was very thorough and touched base with us two weeks after our first lesson to verify our progress and address any problems or concerns. He encouraged us to reach out to him at any time with questions via e-mail, phone, or text. I have highly recommended Bark Busters based on the positive interaction with Bark Busters. Doug was excellent. We were surprised and very happy with the results. we saw significant change at the very first lesson and it wasn't difficult to continue executing on our part. Great program and trainer! Doug was very helpful in helping us improve communication with Charlie and is helping us "speak dog". We saw results right away and have continued to se progress. Doug is just what we needed to provide Charlie with a long happy life not filled with anxiety or stress. Doug is so great at what he does! He listens, explains, and answers all questions thoroughly. I am so happy I hired Bark Busters! These techniques were used and I saw results the first day. I'm very impressed. Doug was great! I have been very pleased with Doug's service. I had tried two other trainers and didn't like their techniques; too inhumane. However, the Bark Busters harness and verbal correction helped tremendously. I am so glad I heard your radio ad on WGTK 970 AM. Doug was very informative and knowledgeable. Gracie responded very well to the training techniques as well as to Doug and and Chris and I. She will require more work but she will get it. The response was very quick and easy to use. We are looking forward to future visits with Doug. Excellent presentation about the training. We had time to practice some techniques prior to doing them with our dog. She responded very well in just one training session. Doug was extremely helpful and patient. Lucy has definitely improved in all areas of concern. Our household is more relaxed! We were very pleased with training with Doug. We could not believe the difference in Jack the day of the first lesson. We will recommend Bark Busters. Doug is awesome! Very informative of training techniques and how to better my abilities. Doug followed up with phone calls and letters and I felt like I had full support with my pup. Highly recommend Bark Busters to anyone! We were amazed at Brick's response after a two hour session. Doug was very professional and extremely knowledgeable about his craft. Very easy to get along with. So impressed with Bark Busters techniques and Doug. I have already recommended Bark Busters to two co-workers. Impressed with Doug's availability if we need him. Well worth the money! Doug was the best! He was very patient with my dog. My out of control dog is finally under control. I couldn't have asked for a better experience training my dog! 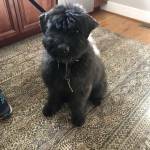 I contacted many dog training facilities and so very glad I chose Doug! Thank you for the training and giving me the skills I needed that made my dog so much more enjoyable. Will highly recommend Bark Busters to anyone who needs to have their dog trained! Within two hours we experienced immediate results with Oreo. And after only one week she is more relaxed, our walks are pleasant, visitors can come into our home without fear, and she comes when called. We value Bark Busters' non-physical techniques, and Doug Rountree is absolutely tops -- very professional and an excellent trainer of dogs (and people!). Great! Really saw big improvements even when Doug was here! Our dogs had basic training but we really needed to learn other techniques to perfect their behavior. Doug did this in no time at all! Doug explained everything and took time to discuss why we use each training technique. Reagan started to respond the same day. After a few days of using each technique we can see significant improvement. One day after the first training session we had dinner without him barking. The training that I was showed worked immediately. I am confident that as Cisco progresses it will only improve. Thanks to Bark Busters I will have more control of my dog. Bark Busters was literally a life saver! We were at the pint with our dog that we were considering re-homing because of his behavioral issues. Gizmo is now a practically different dog! Cooper is responding so well to the training from Doug. We have realized the approach we were using was not working well and communicating with him was failing. We now feel like we are in charge and are definitely on the right path to success. Doug worked magic with both of our dogs in just one session. We've seen a huge positive change in their behavior. We were very impressed with how our dogs responded in such a short amount of time! It makes us very excited about our future with our girls. Thank you very much! Doug is the best; a true dog whisperer! Words can't describe how much Doug has helped our dog and family. We were unable to comfortably walk our dog due to severe leash pulling. After only one session with Doug our dog no longer pulled and it was a complete transformation. The jumping to greet everyone is also corrected. We highly recommend Doug and wish we had called sooner! Doug was great both with Tonto and with me. He adapted his recommendations once he saw my dog's individual personality. My dog responded very quickly! Doug did an outstanding job training us how to interact with our two puppies. He went above and beyond to listen to our concerns that we had about our puppies' behaviors and needs. He worked with us and came up with an individual plan that would work for each of our puppies' needs and for us as well. We never felt rushed. Doug is very patient and he is very easy to talk to. Any time i had a question or concern, I would text it to Doug and he would either text me back or call me back. We also LOVED how at the start of each visit, Doug wanted to hear from us what was working, what wasn't working, and what we felt was important that we worked on! We would highly recommend Bark Busters for individual one on one training that you can't get from a dog training class. Doug was very knowledgeable and helpful. I was amazed at how quickly my puppy responded. Doug Rountree showed us how to get improvement the first day of training. The sounds and body position method is so effective and humane. Our dog Charley has reduced his barking (his primary issue!) by 95% in one week! Doug is very responsive to our questions and patient with us, for our learning curve is longer than Charley's! We were having so many issues with Milo that we were at the point of surrendering him to the Humane Society. We decided to try Bark Busters. He is responding well to the training and we love the new behavior of our dog! Thanks to Bark Busters we are able to keep our baby boy! We've really been surprised at how quickly our puppy began responding to the training. We've seen so much improvement in her behavior and it keeps getting better every day. Our kids are more comfortable around the puppy as she has learned not to jump up on them and chew at their heels. Bailey is becoming the dog I always dreamed I'd have someday and it would have happened without Bark Busters. Before training our puppy was lovable but demanding and thought she was in charge of our whole family. After an hour working with Doug, practically 90% of her behavioral problems (mouthing/biting, barking, jumping, and pulling) were practically gone. The rest are already much improved and I'm sure these will continue to improve as we reinforce our expectations with her. Our home is a much more peaceful, enjoyable place and our pup definitely seems happier and less stressed now that we have set clear, consistent rules in a language that she can understand. 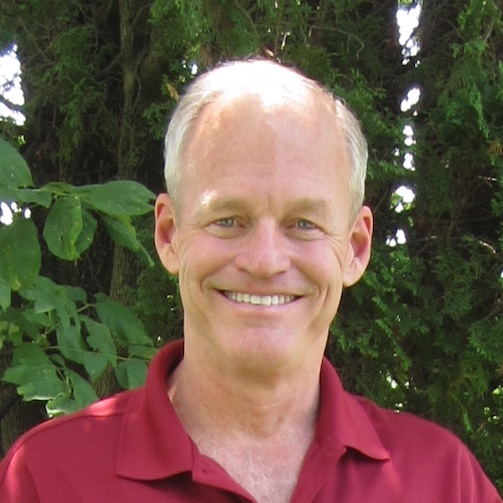 My family was bordering on desperation when we reached out to Doug Rountree. Although hopeful, we were somewhat skeptical that he could provide solutions to the multiple behavioral problems of our dog, Avery. To our amazement, after a thorough question and answer period, Doug systematically addressed and provided behavior modification training for every one of Avery's problems. My son and I saw a dramatic improvement in Avery's behavior after only one training session with Doug. At the conclusion of our second session, we were honestly able to tell Avery that he was a good boy. Contacting Doug for behavior modification training was one of the smartest decisions our family has ever made. We are enjoying Avery more and more each day. It is reassuring to know that, should the need arise, we can call on Doug at any time. Amazing job! After one session Jester is like a different dog! We were very surprised at how quickly our dog changed her behavior. We are very thankful for the help! Doug gave us tools on the first day to work with Oreo on and we saw a difference in Oreo right away. Before Bark Busters I was constantly embarrassed by my dog's behavior. All my friends wanted to meet my dog but I kept making excuses for why they couldn't come over. I was so afraid of her scaring, growling, and/or biting them. I had a few other minor behaviors I wanted to eventually improve but mainly I was concerned about her aggression towards people. I was so impressed by how quickly Doug was able to fix all of her issues! It was so easy, so fast,and after the first lesson she already seemed cured of her behaviors! I just can't thank Doug enough! The first training session with Doug exceeded my expectations. 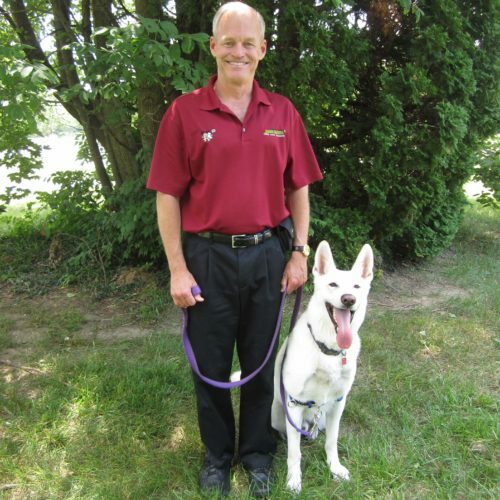 He worked with us first by teaching us how dogs communicate and the basics of the the Bark Busters training program. Zoe learned that when hearing BAH she needs to correct her behavior and she does so whenever she hears it. She welcomes guests now without rushing them at the front door and without jumping. Walking her has become such a better experience for both of us. If she begins to pull I give her the BAH command and she corrects herself right next to me right away. We have tried working on this in the past, but we were never able to correct it the way we wanted to. Now with Bark Busters we have! We love how the training program is based on how dogs communicate and how the training tools are dog friendly and do not cause harm to the animals. This was definitely a plus when inquiring about Bark Busters. Doug was great! He was very friendly with my husband and I as well as with Zoe! He was calm with her throughout the whole training session. We are looking forward to more lessons with Doug and Zoe and our new puppy. Thanks so much Bark Busters!! Doug was fantastic! A dog whisperer! The first session fixed almost every issue I have been working on with my dog for over a year. Doug was very patient, kind, and reliable/organized. I have already told friends about the great results of Bark Busters and will continue to do so. By training people how to train their dogs, you are saving many lives. Thank you! Amazing progress in our first lesson; looking forward to the following visits. Jasmine has responded super to the training Doug started us on! There is already a huge improvement in our dog's behavior after just one session. We were able to enjoy being outside tonight without any barking for the first time ever. Doug is very patient and kind and has a true sense of what is happening in the environment that needs to be corrected. I really appreciate his non-judging training and the fact that he is available for questions anytime. Asha responded very well to her training. (We the humans responded well also!) We are very happy with the great progress Asha has made in such a short time. A great program! Doug Rountree is the best! My dog Thor and I are truly advancing with the training with ease. Looking forward to a well-behaved and trained transition for Thor from puppy to adult dog. The techniques truly do work when applied as instructed. We were very pleased with how quickly Gary responded to us once we started using Doug's techniques. I can tell that with continued practice, things will only get better. Our household is already less stressful now that we know how to be proactive in excited situations. Doug was a joy to work with and our minds are at ease knowing we can call on him if we ever need to. Bark Busters has been great. We have been working with Doug since our dog was 13 weeks old and she is doing great. Doug is very responsive and I feel that Bark Busters has made a lifetime commitment to good dog behavior. We are amazed at the difference the training with Doug has made for our two dogs. We have a Goldendoodle puppy who just turned 1 and a Shi-tzu who is 3. It was unbelievable to us that both dogs responded after the first training session and most all of the behavior issues we were having are gone. We just had our 2nd session and can say we are truly thrilled with the progress of both dogs.Even the Ups delivery man was amazed! Truly the best money I ever spent. Thank you so much for your help! Our visits with Doug and learning specific training methods for our golden doodle were so helpful. We feel that we now have training will underway and with some additional lessons our dog's bad behaviors will be corrected. Doug is a pleasure to work with! Extremely pleased with the trainer's knowledge and approach with our dog. He is a yellow lab mix and very hyper and we are senior citizens, so within a few hours of training our dog responded vey good and now walking him is a pleasure instead of a chore. Being able to control his jumping on counters and greeting friends is a blessing to us as well. All the was accomplished without harsh treatment and just recognizing how a dog thinks and acts makes it easy to correct him when he does wrong. Would recommend Bark Busters highly! Was extremely pleased and surprised at my dog's response to the training and tools. I did not think Yogi's behavior could be changed, but he is now under control. Our dog was very responsive to Doug and we are looking forward to future visits and dedicated to having a well-trained pup and a happy home with her. I am amazed at the quick and immediate results. I have been to two or three trainers and did not have good results. This is like a miracle. Doug was super nice. He explained everything so well. He is very knowledgeable and very kind and patient. He changed one of our dogs from a dog who was extremely aggressive around anyone outside the family to one that will allow people to come into the house. Like a said, a miracle! Prior to our training we feared having to give our dog back to the rescue. After just one session we had a new dog! Zoe listened to us because we had learned how to communicate with her. We are very thankful, as Doug made the process easy and tailored it to Zoe's individual needs. We had Doug train our golden doodle, Jackson, and our experience was amazing. Thank you so much for your help with Jackson. It has been less than a week since our final session and I think our pup no longer has separation anxiety! He is doing fabulous and is starting to love his crate instead of destroying it. Training was great and well worth every minute and dime! Thanks again! I am truly thrilled with the training! Doug is incredible! My puppy is 100% more manageable after just one session! My puppy immediately stopped using the house for a toilet. She is enjoyable to be around now. And this only after the first session!